Beni Agrawal is Founder and Principal Consultant of GKHS. He had formed the firm with an objective to focus on protecting interests and benefits of hotel Owners, Investors and Developers. His core strength lies in analyzing the business potential of a venture and his detailed knowledge of every aspect of hotel development makes him one of the best in the business. He has over 19 years of all-round hospitality experience. In his international career, he was associated with hotels such as – Hilton CDG Airport Paris, Frasers Suites Glasgow, Fraser Suites Paris, and InterContinental Dubai where he was part of managing hotel operations. 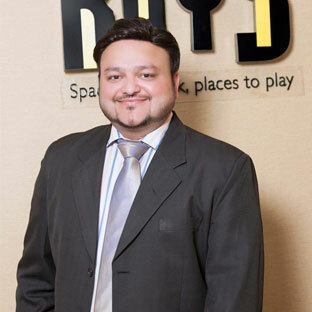 His career in Hotel Development, Consulting, and Asset Management began after completing MBA from ESSEC Cornell University (IMHI) in 2006, with companies like – Sarovar Hotels, HVS Hospitality Services, Cinnovation Group (now Fern Hotels) and Berggruen Hotels. An Alma mater of the prestigious ESSEC Cornell University Paris, and Institute of Hotel Management Kolkata, Beni has also completed his Masters in Valuation from The Indian Institution of Valuers. Complementing his keen interest in networking, he is currently heading the Alumni Network of ESSEC Cornell University (AAIMHI) in India since 2014 as India Regional Delegate. A regular speaker at hospitality forums, Beni’s personal passions include holiday cooking, target shooting and networking among various business and social groups. Beni also has been a member of Emirates Flying School, Dubai where he was trained to fly single engine piper warrior aircrafts. Don't hesitate to reach out! Consultation is free. As the market is changing at a fast pace, hoteliers and owners must acclimatize and fine-tune their strategies. GKHS has also conducted Feasibility Study Assignments for Business Hotels, Leisure Resorts, Wellness Retreats, Wedding Resorts, Mixed-use Development, etc in Cities like - Pune, Mumbai, Alwar, Bareilly, Baroda, Dehradun, Pachmarhi, Mahabalipuram, Bhiwadi, Vizag, etc.